A 19-year-old University of Maryland student athlete died of a heatstroke while at football practice recently. 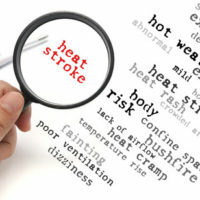 The student collapsed after showing signs of a heat-related illness and experts have been weighing in as to what is acceptable when it comes to working out teenage athletes in the heat. Even if a waiver for liability was signed before the athlete began participating in the sport, there are still certain situations where an at-fault negligent party can be held liable for contributing to an injury. An experienced personal injury attorney can review the circumstances surrounding the injury and determine if a lawsuit is an option. If a player is injured, or worse yet dies, like in the story above, while participating under the supervision of a coach, that coach could be held liable for the injuries. In the case above the lawsuit would be for a wrongful death. Of course, sometimes even the most careful of coaches can’t prevent a heat stroke from occurring, even if they followed all the regulations and rules. However, some coaches recklessly disregard the rules and guidelines for practicing safely in the heat. This negligence forms the basis for a wrongful death suit that rises out of a heat stroke death during sports. Not only could the coach be held liable for the death of the athlete, but so could the organization for which they work. The laws surrounding wrongful death lawsuits in Maryland can be complex and confusing, and coaches and organizations aren’t likely to admit fault when it comes to such tragic events. That doesn’t, however, mean that they aren’t responsible for their actions. 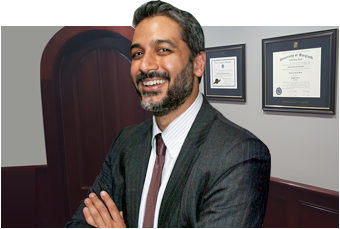 The attorneys at the Law Office of Hammad S. Matin have decades of experience handling wrongful death cases. If you or your loved one has suffered injuries or died as the result of the negligence of a coach or other sports organization, contact our office today to see what your legal options may be.